After our successful crowdfunding campaign, Associação Transumância e Natureza (ATN) has now bought 6 Tuareg-style tents and produced a complete all-included program (meals, tents, sleeping bags and mattresses) to use mainly for school groups who want to visit the area. The ATN team will be in charge of all the logistics for these educational trips to Faia Brava Reserve. 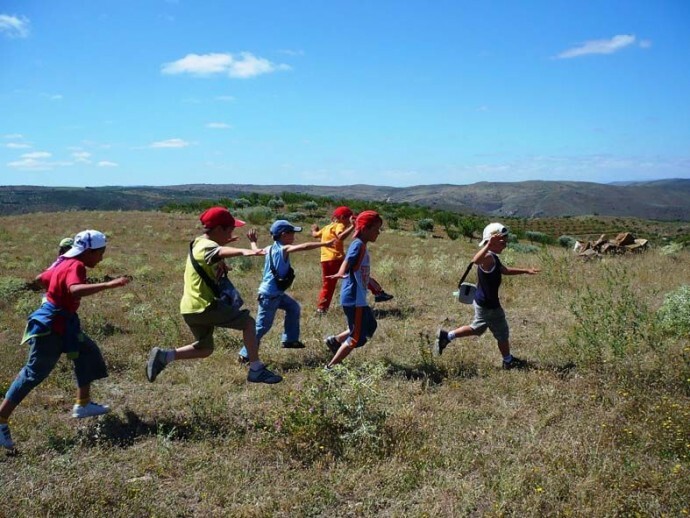 Youngsters from across the world now have the great opportunity to explore and learn about nature, camping outdoors and experiencing the wildlife comeback in Western Iberia. This school program, called “Brave at Faia”, is designed for 3 days (2 nights), and can be delivered during almost ten months of the year: from February to November. “Brave at Faia” aims to explore the pedagogical resources of Faia Brava Reserve, the first private protected area in Portugal, owned and managed by ATN, and also one of the pilot areas of Rewilding Europe. It is a challenge to welcome students from different areas and organize for them inspiring outdoor classes, through real life observations on the field. The first group was received in October, not students but teachers. Among them were authors of school books, and willing to introduce the example of the conservation strategy used in Faia Brava for the manuals that will be used by hundreds of students every year. “We want every single kid to have the opportunity to, at least once in his or her life, discover nature and feel that he has an important role to protect this ecosystem. This is the best way to raise awareness about wildlife conservation and build up the commitment from the future generations,” says António Monteiro. For more information please take a look on ATN website and contact barbara.pais(at)atnatureza.org or +351 271 311 202.